The soon-to-be-built Gungahlin suburb of Throsby will be a total cat containment area, Minister Shane Rattenbury has announced today. Cat owners in the area will need to ensure their cats are confined to the premises at all times, either by keeping cats inside the house or creating a purpose-built enclosure. 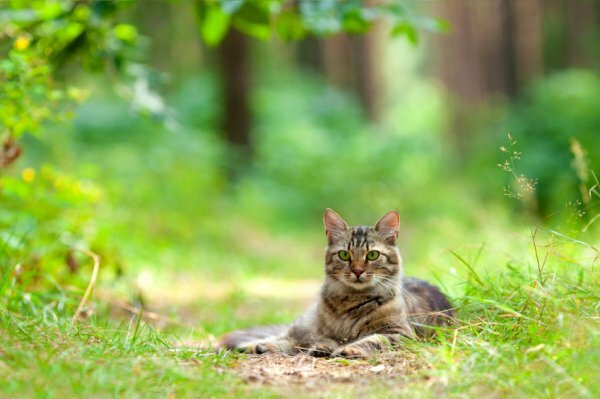 Under legislation, cats found roaming in containment areas can be seized by TAMS rangers and an infringement notice issued to the cat’s keeper or carer. “The benefits of cat containment are not only felt by our native wildlife. The risk of injuries resulting from fights with other cats and traffic incidents are avoided by containing cats, keeping them safe, happy and healthy,” Rattenbury said. Cat containment was first implemented in Canberra in 2005 and is now in place in Bonner, Coombs, Crace, Denman Prospect, Forde, Lawson, Molonglo, Moncrieff, The Fair and Wright. Cat containment will also be implemented in Jacka in 2017. While Throsby, which Rattenbury has described as “a unique suburb nestling against Mulligans Flat and Goorooyarroo Nature Reserves,” has not yet been released for sale, the cat containment declaration has been made early so that people wanting to buy in the new suburb are aware of cat restrictions. For more information on cat containment, visit www.tams.act.gov.au or phone Canberra Connect on 13 22 81. Sounds like a token measure to me.